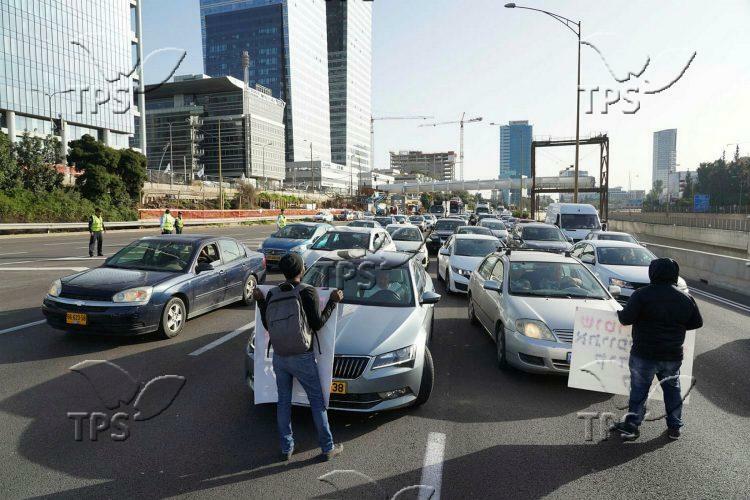 Thousands of Israel-Ethiopians on Wednesday demonstrated and blocked main routes in southern Tel Aviv in protest of what they claim is the police’s excessive and violent actions against the community’s members. The protest was sparked by the death earlier this month of Yehuda Biagada, an Israeli-Ethiopian who was shot and killed by police on a Bat yan street as he was carrying a kitchen knife. His family claims he was wrongfully shot, and the police say they were acting in self-defense. The protestors carried signs accusing the police of murder and against discrimination. Please log in to download photo. See additional photos in our photo library.